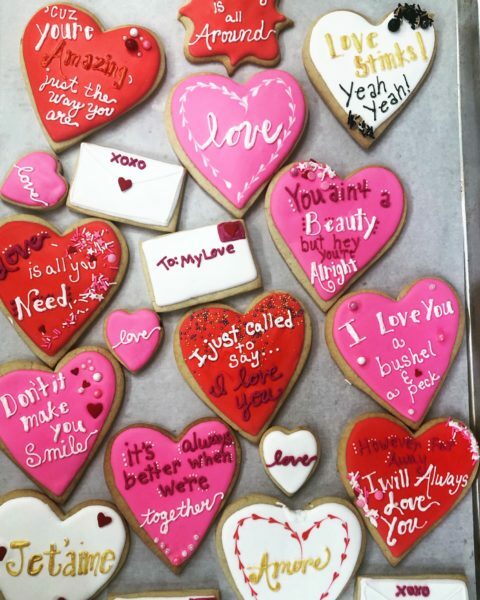 This year, in addition to our pre-decorated Valentine’s Day cookies, we also have CUSTOM Valentine’s Day cookies available to order! Have a favorite nickname, saying, song lyric, or something else that’s a special secret between you and someone you love? We’ll write them on a cookie (or cookies) for you for an extra-special gift. You can order online here, or call the farmstand at 978-682-6332.